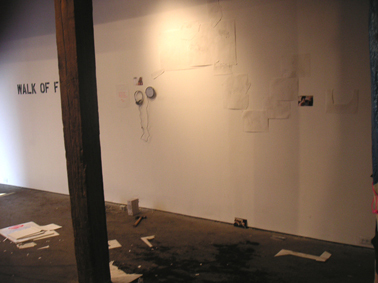 The laptop computer was once again placed by the cluster of drawings of a rehearsal space, with the slideshow of photographs from Mölndal shown on its screen. 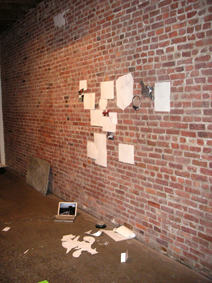 The song "Wuthering Beat" (which was recorded at the "Radius of my Heart" exhibition at the Wuthering Heights gallery in Malmö, Sweden) was heard from the laptop. 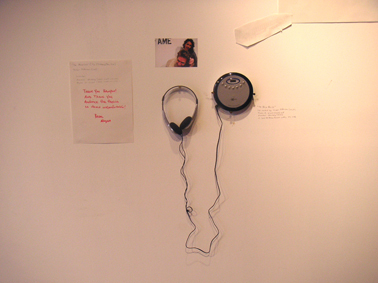 A portable CD player with headphones was attached to the wall next to the drawing of the rehearsal space. 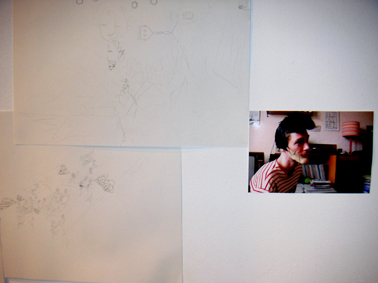 In the headphones could be heard recordings of the band Kartoffel Menschen Trio. On the western wall another portable CD-player with headphones was placed by the photograph of the band The New Noise Trio. In the headphones could be heard the live recording of the performance that the band had put on during the opening of the show. A photograph of a person wearing a Morrissey wig was placed by the drawing of the "Quiz Night". On the pillar by the western wall an instrument was built using an electric guitar string (a low E) which was attached to it by two nails on either end. 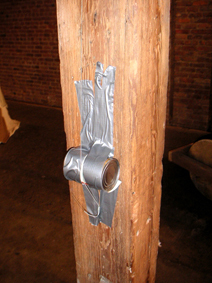 Between the string and the pillar a tin can was placed to act as a resonator. 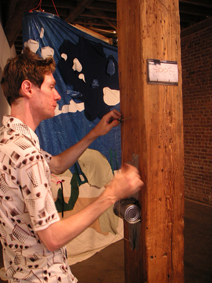 A piece of music using the instrument was recorded on the laptop computer (the piece consisted of four tracks). The laptop was placed on the floor by the western wall and the piece played through a pair of speakers. On the computer screen a slideshow of images of myself playing on the instrument could be seen. 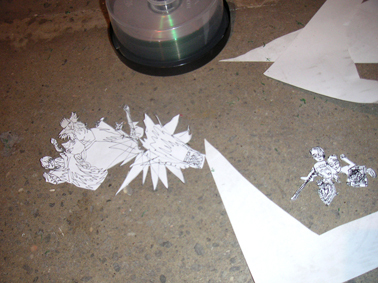 More drawings were cut out of the photocopied sketchbook and spread across the floor of the gallery.